Fast drying, flexible, fibre-reinforced self-smoothing underlayment, designed specifically for use over plywood. Based on the latest advances in cement and polymer technology, enabling fast track application prior to the installation of new floorcoverings. 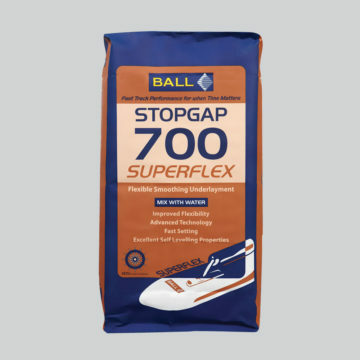 Can be applied between 2mm and 10mm to a wide range of subfloor types. Due to fast drying technology it is ready to receive most floorcoverings in as little as 3 hours.